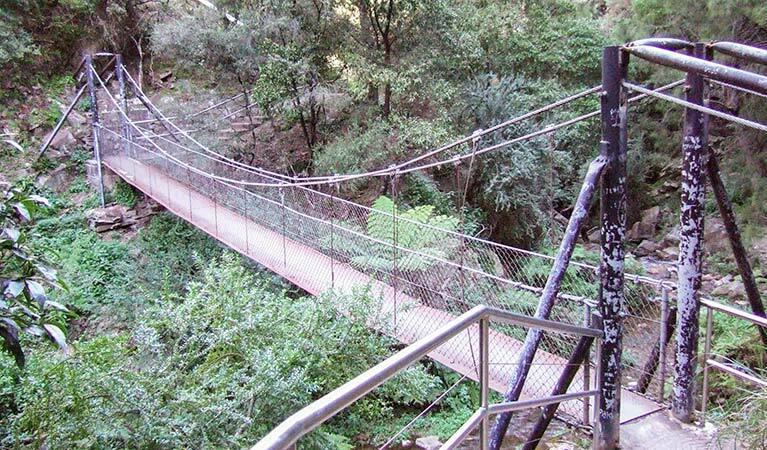 Jenolan River walking track is all about scenic water views. 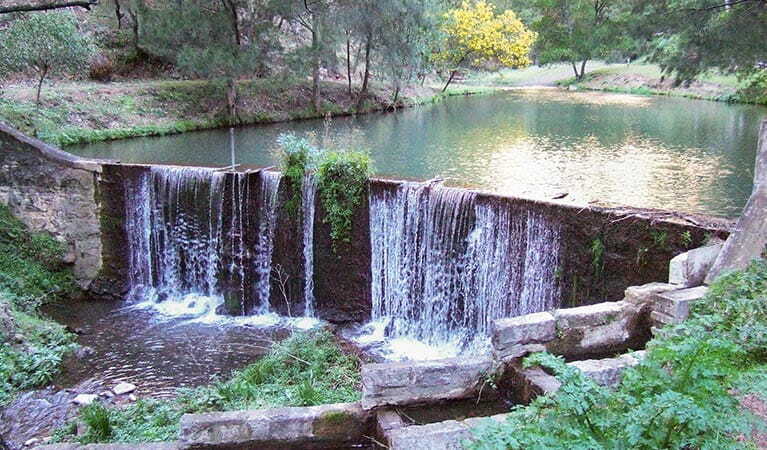 Also called Working Waters walk, this is an easy bushwalk great for bird watching or swimming at Jenolan Caves. The section of road into Jenolan Valley is one-way from 11.45am to 1.15pm every day to allow coaches to enter Jenolan safely. Take Oberon Road if you’re leaving Jenolan between these times. It’s hard not to feel energised by the abundant and pristine beauty that surrounds you on this gorgeous, easy walk at Jenolan Caves. 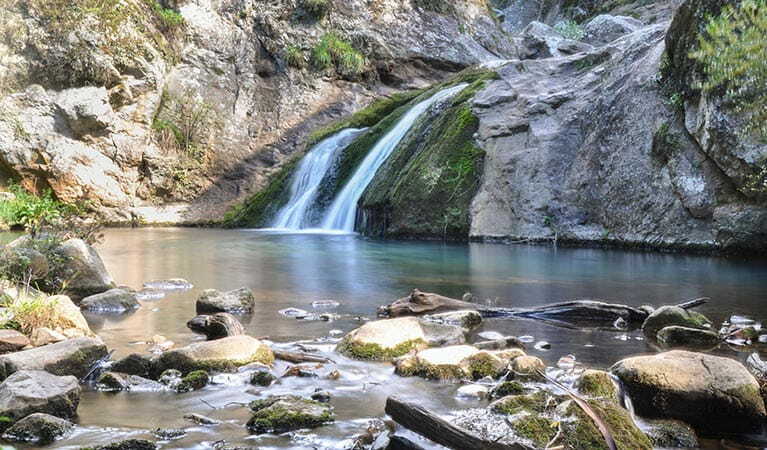 Suitable for almost everyone, and at any time of year, Jenolan River walking track is all about scenic water views. Beginning and ending from the eastern side of Grand Arch, the track rewards you with beautiful views of the river, lake, waterfalls and suspension bridge. You can even bring your gear to enjoy a dip in one of the swimming holes. To make the most of this walk, why not pack some lunch to enjoy at the nearby waterfront picnic area? 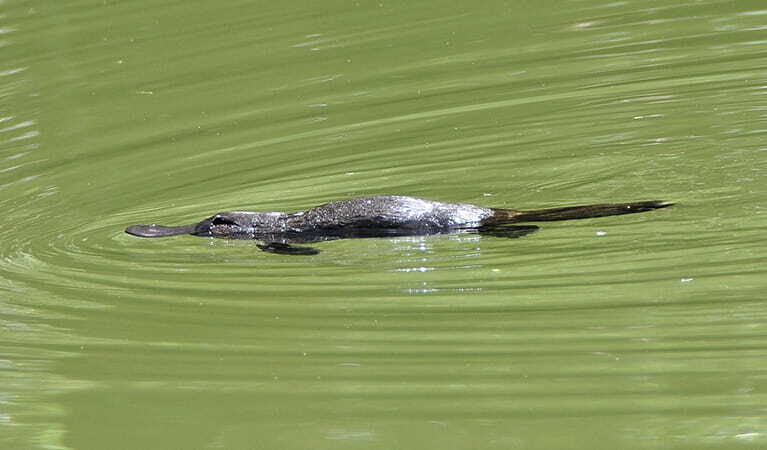 See if you can spot the trout ladder adjacent to the hydro hut or glimpse the Blue Lake’s resident platypus. Birdwatchers are in for a treat with bellbirds, rock warblers and lyrebirds often spotted amongst the area’s diverse plant life, while kangaroos, wallabies and eastern water dragons are also never far away. The Jenolan environmental monitoring program, created in 2008, uses special sensory equipment to measure tiny variations in air and water quality at different sites around the karst environment of Jenolan Caves. While still allowing visitors to explore the caves, this allows scientists to protect geodiversity, ensuring conditions stay stable for future generations. This reserve is open every day from sunrise to sunset. Check the Jenolan Caves website for information about guided tours, restaurants and events.